Please note that the content of this book primarily consists of articles available from Wikipedia or other free sources online. 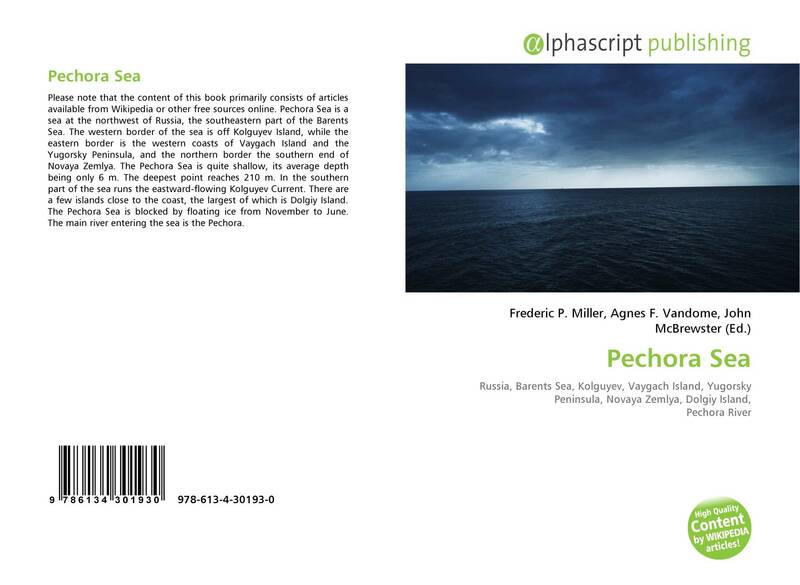 Pechora Sea is a sea at the northwest of Russia, the southeastern part of the Barents Sea. The western border of the sea is off Kolguyev Island, while the eastern border is the western coasts of Vaygach Island and the Yugorsky Peninsula, and the northern border the southern end of Novaya Zemlya. The Pechora Sea is quite shallow, its average depth being only 6 m. The deepest point reaches 210 m. In the southern part of the sea runs the eastward-flowing Kolguyev Current. There are a few islands close to the coast, the largest of which is Dolgiy Island. The Pechora Sea is blocked by floating ice from November to June. 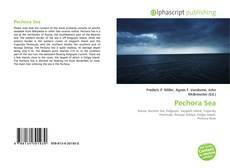 The main river entering the sea is the Pechora.